Cube Mug is designed by CubeMug in Hong Kong, and is our brand new product. Now Cube Mug is available in United States, United Kingdom, Italy, Singapore, Hong Kong and Japan. Mini-Cube Mug is a mini-version of regular Cube Mug,which is a new to the market. It looks cute and exquisite. Its mini size is suitable to present as a corporate gift or souvenir to your valuable clients,family or friends. Corporate gifts are a great way to thank your partners and your customers. They are also a showcase for your brand, they can promote it. Therefore these products are in line with your brand. It’s important to choose original products with good quality to show the strength of your company. Pens and USB drives are unremarkable for corporate gifts. But new products coming to market, such as cube-shaped mug. These new products have an original design, they will promote your company in an original way. The mug is a product who people used every days this will ensure good visibility for your brand. In fact, the cup has a large print area, you can print your logo on all surfaces of the cube. Your brand will be very visible when someone uses the cup. Change your cup for CubeMug. Why should you continue to drink with a very common cup and that helps make your day more gloomy. Try the color to brighten these days, the CubeMug is available in seven colors: black, white, yellow, orange, red, blue and green. It has an original design which suggest the design of the well known brick. The cup is not round like most others, but it is shaped like a cube, and fits in a box with bright colors. You can stack the boxes for save space. The CubeMug is resistant to dishwasher and microwave. Join our Facebook page. You will discover exclusive content who are available in our page. But also you can participate of contests or other events. You can ask questions in our page and we will try to respond as quickly as possible. You can also submit your reviews, comments or advice about our products. You can follow all the news of CubeMug. You want to drink your beverage with more fun. You are interested by CubeMug. You want to try CubeMug. Go to our Facebook page for see the contest details. You want to drink your beverage with for fun. Try Cube Mug. CubeMug is a cube-shaped mug. With the possibility to stack the mug for save place when you have many mugs. The mug is microwave and dishwasher safe. Liquid into the mug is fully protected from dirty substance when the mug is into the box. The CubeMug is available in 7 colors: black, white, yellow, orange, red, green and blue. CubeMug can also used for promotional gift. 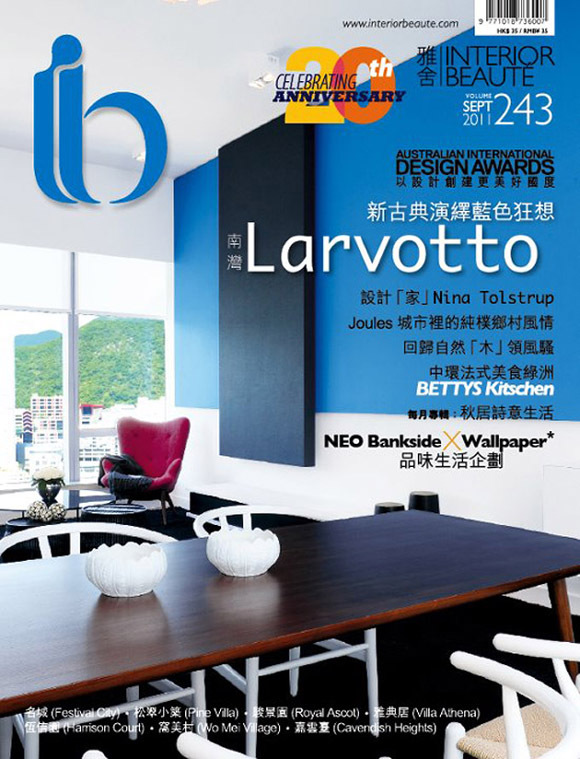 The design is not only create beautiful thing, it's especially try to create useful and user-friendly objects. That's why at CubeMug we asked ourselves what we can bring to a simple object such as the mug. It's apparent that the main defect of the mug it's difficult to store and takes so much space, especially when you have several mugs. In addition we wanted to offer a product that protects the contents of the cup. With these two criteria, so we arrived at CubeMug a practice cup. 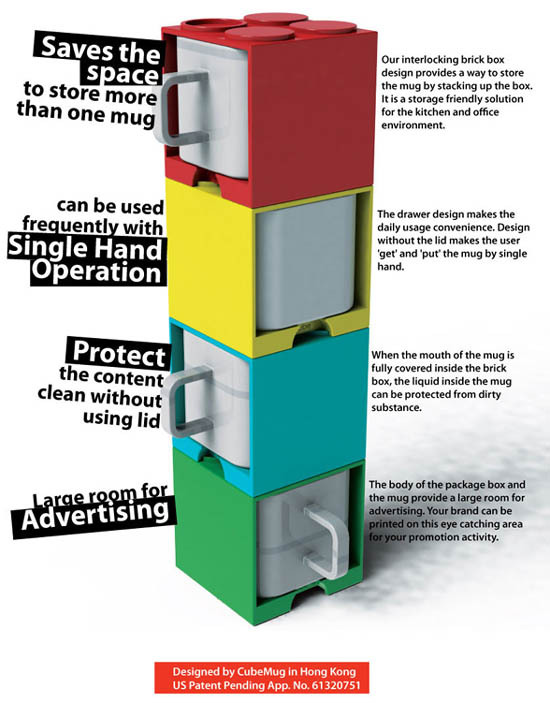 CubeMug is simply to use, you can stack the mug like the toys bricks. And when you put the mug into the box your beverage is protected. Production continues to increase, you can always drink coffee with your CubeMug. If you're a big coffee drinker you can buy other CubeMugs in other colors. The advantage of CubeMug is that you can stack them, and you can saving space. The CubeMug you will keep your coffee warm when the mug is on the box. The designers wanted CubeMug inclined to participate in this unique, with something that is very common in open space, the mug. It is often quite banal white, round, in CubeMug we wanted to do something original, the mug have a different form than most other products. The different kind of teas. You can drink these history teas, with a bit more fun. The green CubeMug is a cup that fit perfectly for tea. You can protect your tea of the dust when you put the cup into the box. Space Saving Cube mug is a fashionable and functional product that designed to bring you the convenience of organizing drinkware easier than ever. It is cute, safe and stackable which allows you to utilize every inch of your cabinet space and keep your mugs neat. If you are living or working with limited space, it is definitely one of the best storage solutions you can get. Cube Mug is a great choice for both functional and stylish promotional gifts. Nowadays hot beverages are consumed throughout the year. People love to take warm coffee or tea even in the summer time. Because of that logo mugs are a perfect gift idea for any climate or season. Cube Mug is modernly designed yet adding memory from childhood. With a promotional gift like this, you totally show receivers how ingenious you are and your promotion messages must be well received by the recipients. Lego is one of the most long-beloved toys in the world. 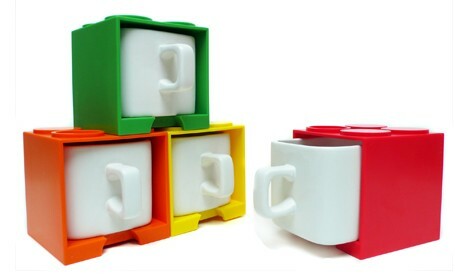 If you happen to be a big fan of these interlocking plastic blocks and are looking for mugs for your stylish home, then maybe Cube Mugs are just what you need. 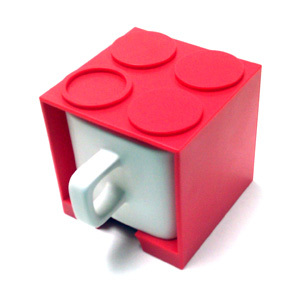 Cube Mug is one of the most creative products inspired by the famous Lego bricks. The fun thing is that you can always pull the mug cases apart and piece them back together like playing Lego and they will look great anywhere in your home. Each combination can be completely customized to your own imagination and taste. Personalized gifts are a great way in which a person may show appreciation or love to another person. Such gifts are normally affordable and will more often than not bring more pleasure to individuals than expensive and luxurious gifts. Furthermore they are usually attached with the special occasion on which they were presented. Also personalized gifts will most times bring out the surprise side of the gifted since the gift is personal. For the gift to be more cherished, it should be one that is liked by the recipient. A mug press machine is a device that transfers printed ink on to the surface of mug. The ink is converted to a gas which then enters the surface of the mug and becomes permanent. Mugs that have been imprinted with images, words, slogans and so on are then sold as gift items or promotional items. This is also the same way in which mugs are personalized with personal messages or images. However for a mug to work well as a promotional or advertising material it is best to have it designed by professionals since a mug that has been professionally designed will not only look great it will show intended recipients that the company has a professional outlook and cares for its image. Ceramic mugs have been in use for a very long time and they can make excellent gifts or used to advertise various services due to their wide range of uses. If you are a business man or a person looking for a gift, try ceramic mugs they are affordable and very functional. Mugs can literally be found everywhere; in a home with a coffee set, in a hotel, in a student’s room or at the desk of the CEO of a large corporation. Likewise their uses are not only limited to taking tea, coffee or hot chocolate they can be used to hold pens, paper clips, crayons for a child or any other thing. They also come in various sizes, shapes, colors, and designs and are made from various materials like ceramic, plastic, glass or porcelain. Therefore personalized mugs can make excellent gifts to loved ones either for birthdays, anniversaries or any other family occasion. They are ideal because any person at any age may be a recipient; furthermore the mug may be used for whatever purpose the recipient deems fit. Mugs that have been personalized also say a lot about the person giving the gift, it says that the gift was well thought out before being given and time was spent coming up with it. Mugs Personalized For Corporate Use Most people use a mug at one point or another in the course of the day because mugs are found everywhere and are used by almost everyone. They are used in the morning to take tea, during the morning break to take coffee or they may even be what you may be using to hold your pencils and stationery in the office. Therefore mugs are very important and can be found everywhere. It is for this reason that corporations are using mugs personalized for the company to promote products, events and even the company itself. The idea behind this is that since they can be found and used by anyone, using them in public events or giving them out is a great advertising and promoting idea. No matter at home or in the office, drink vessel is essential for everyone. So, ‘promotional mugs’ is always a vital category of promotional products. Cube mug is a great example of promotional mug which is practical, cost-efficient and the best part of it is the stackable design. With the company name and logo imprinted on Cube mug, you don’t just have your brand exhibiting on a satisfying promotional item, but a modern and thoughtful gift which represent the style of your company. You can even choose the color to harmony with your brand image!